Backside of the Hollywood sign (1984). Twenty five years ago it was possible, at least theoretically, to hike the face of Mt Lee to the top of the Hollywood sign. Today, that's no longer the case. The City of Los Angeles has installed fences, cameras, motion detectors, and even a speaker system to keep people from attempting it. And according to everything I've read on-line (and the personal experience of some adventure-seeking UCLA students) LAPD will respond. However, there is a trail around the backside to the top of Mt Lee, providing a very similar view. Looks like the backside of the Hollywood sign has less graffiti than it did twenty five years ago (one of the few places in Los Angeles that can make this claim). Speaking of Mt. 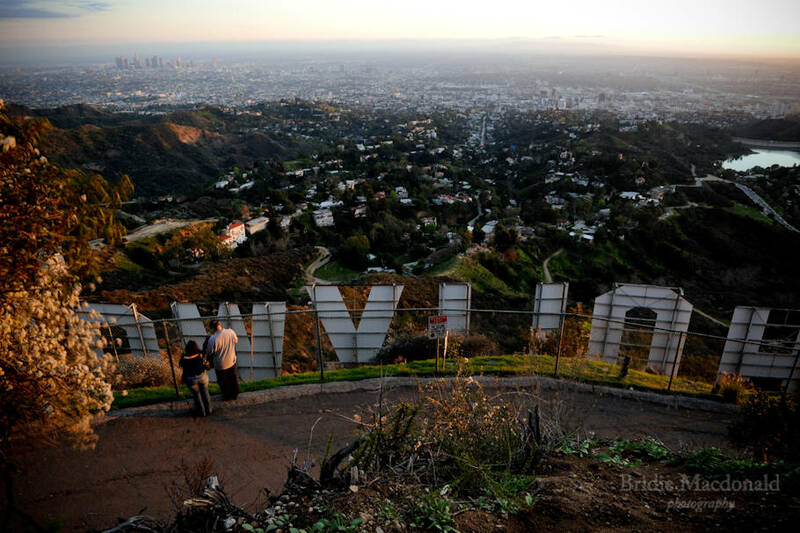 Lee, unbeknownst to almost everyone, the ridge next to the Hollywood Sign is privately owned by a group of Chicago-based developers who were planning on selling the land for development. The prospect of homes being built next to the most recognizable landmark in the city has spawned a group working to save the ridge from development. 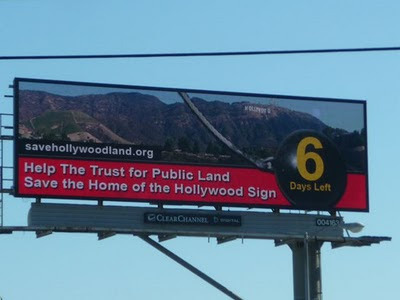 Last week I noticed one of the electronic billboards on Santa Monica Blvd over in West L.A. displaying an ad for www.SaveHollywoodLand.org - the organization soliciting funds to help preserve the ridge. SaveHollywoodLand.org has raised $11 million dollars of the $12.5 million needed to purchase the 138 acres adjacent to the Hollywood sign. By the way, I did the math: 138 acres for $12.5 million works out to $2 a square foot. They have until April 30th to do so - looks like they're getting close. It might be a Hollywood ending after all.